Winterthur's pre-season preparations under new captain Mohamed Sameel, continued at Gründenmoos on Sunday 15th April 2018. 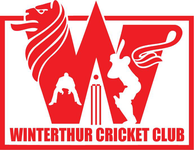 Winterthur won the toss and elected to bat first and got off to a solid start with Ruan and Pradeep determined to play a long innings whilst trying not to lose their wicket to St Gallen's new recruit fast bowler Kenardy Fletcher, but Nasir on the other end got the breakthrough by getting Ruan (8) and Roushan (1) out early. Pradeep and Prafull tried building a partnership and spend some much needed time in the crease, but Nasir struck again to send Pradeep back to the dugout for 4 runs. Which brought Anoop to the crease with Prafull, they both showed great determination and put up a solid partnership and took WCC 102 for 3 in 20 overs. Prafull was dismissed for 29 runs after the water break which Mohamed joined an extremely exhausted Anoop . After loosing Anoop for 50 runs, Bhanuka (0) and Sahan (6) got out cheeply and so did Mohamed (10) but then Suhash and Adam put some runs on the board then Suhash got out for 2 runs. Gokul who was making his debut for WCC played a useful innings of 20+ to help WCC get to 197 all out in 39.3 overs. Having terrible memories of visiting St Gallen in the past, WCC were super excited having posted 197/10. And boy did WCC bowl well, WCC's new captain who set an attacking field set the tone for his bowlers, strike bowler Sahan bowled his heart out getting 3 wickets in his opening spell getting both Ali and Nasir caught behind. Suhash maintained a tight line and length. WCC new revelation young Elyas once again proved his talent, getting a wicket in his first over and Roushan too struck early and got a wicket off his first over. Adam as always was among the wickets as he claimed a wicket off the very first he bowled...all the catches caught in the slips and one by the wicket keeper shows the strength of the WCC's pace bowlers who had St Gallen 47/6 in 14 overs at their home grounds, though Captain Mo had the chance to bring back his strike bowlers and kill the game, it being a pre season friendly had him checking out his other resources, which let St Gallen run away with the match.